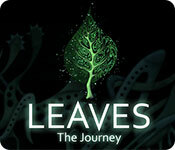 Leaves: The Journey is rated 3.9 out of 5 by 99. Rated 5 out of 5 by Talisbird from A charming challenge A modern game but with an atmosphere of some of the games from yesteryear. The art is strange and gorgeous. The game play is original. I played to the end, but at times I was totally stumped and had to resort to getting some help from the internet. The majority of the time though I found the puzzles and strategy satisfying and enjoyable. Don't forget to search for the shy inhabitants of this world. If you make it to the end there is a wonderful scene to make your heart warm. This game might not be a Collector's Edition, but it is certainly a unique game to collect and add to your library, and there is a sequel. Rated 5 out of 5 by patricia356 from An absolutely wonderful game!!!! Can't say enough good things about this game. It is inventive, fun, difficult sometimes to the point of frustration and addicting. The graphics are super and imaginative. So far I have almost made it through one leg(?) of the game and am completely stymied for about the 10th time but I find if I walk away and come back at a different time I have that "Aha" moment and something works. Doubt if I can finish it without checking the walkthrough though. There are not enough games that have this level of fantasy and delight and I am glad to see this and see that there is another one. I must say though that you will probably love it or hate it so try before you buy. Rated 5 out of 5 by beckykay from Unique and Challenging This is a brilliant game. Kudos to the developers for putting together one of the best games in a long time. This game isn't for everyone, and when I started playing I thought I wasn't smart enough - that it is more for Mensa members. With a lot of thought and time I finally finished this game! I like a challenge but this game is very trying. So much fun, and delightful. The graphics are superb and the story-line so unusual. I truly enjoyed playing it, it is a rare gem of a game. I will likely purchase the second, because games of this caliber don't come along very often, but I need to wait to play, because I need a break for awhile! This game can be stressful to play, but I encourage people to play it. You won't be disappointed. Rated 5 out of 5 by haruka from More games like this please I'm not a writer/reviewer but I had to say something about this game. So I'll keep it simple, leaving the great reviews to all you amazing reviewers who I depend on so often. Thank you Big Fish for including Leaves the Journey. Such a unique and creative game and very challenging. I'm loving it! From the opening, you have to think and question and explore. Beautifully stylized art work, interesting sound and definitely fun. This game isn't for everyone but I suggest you give it a try. Be patient and stay with it, you'll feel really smart as you solve some most unusual puzzles and progress through the game. So worth it! Rated 5 out of 5 by tahnee22 from Leaves of fun Fantastic game that gets the grey matter working. Once you realise how to work the game it draws you in and your hooked. Can't wait for Leaves the Return. Rated 5 out of 5 by meme2222 from I have never seen anything so creative, wow!! As far as the artwork and imagination it took to develop this game I cannot give enough props. Its a beautiful quirky world that you find yourself in just exploring. Your mission is a simple one. Find all the leaves. I am just memorized playing this game. It makes you feel like you've just dropped out of reality and landed on this fantastic planet. Of course you don't know the language so there is no directions. Everything is a discovery. You just got to play with things, try different stuff and see what works. It is so much to discover, even the pull down inventory and your collectables with the map and magnifier is an ah ha moment. It makes you feel like an explorer. When's the last time you felt like a two year old just thinking, hmm should I put this in my mouth. I am just loving this. I guess it's kind of like being a caveman and discovering fire. The artwork is so beautiful and unique. I love being in this world among these very unique creatures. If you are the kind that likes directions that tell you what you need to do, this game is not for you; but if you are a trekkie and love to explore the unknown you will have such a grand time. A word of advice. Don't try and conquer this game quickly. Do a little at a time and ponder. It is a big escape from reality you will enjoy coming back to time and time again. Rated 5 out of 5 by webvixn from Best game I've played in a long time I never comment, and don't think I've ever submitted a review in many years on this site. I doubt this game will be for everyone, but I absolutely loved it! Beautiful graphics, challenging, a real breath of fresh air. Not having help will turn some off, but trust me, stick with it. It's worth puzzling it out. There have been a (very) few games over the last year that have stepped into newer territory and offer something better and different than the usual "find the key, oil the rusted lock, magically discover a lock pick" stuff, and I for one want MORE of them! Please, encourage and support these newer, innovative developers and put the fun and challenge back in casual games. Well done! Rated 5 out of 5 by KatesMomWA from What a fun and different game! I have really enjoyed this game (I purchased it and have almost completed it). It's so different and challenging; it's been fun to have a game that makes me work a bit rather than be so easy that I'm just going through steps with no challenge (I've gotten bored with so many HO games now that are just following a path without a real challenge). If you are interested in a game that is different and that makes you think, take notes, and yes, maybe even capture some screen shots, give this game a try. You won't be disappointed. If you get stuck, check in at the game forum for some good tips from other players. Note that there IS a help feature at the main menu...you just have to solve a puzzle to use it (and if you can't figure out how to do that, check out the comments in the forum). Thank you developers for a different kind of challenge...it's been fun! Rated 5 out of 5 by Mlg2012 from Brain teaser, fun, challenging, and beautiful!!! Once I started I could not stop! And now, I want to play it again. I had to really think and try to solve the puzzles. Not an easy one, but so much fun. The graphics are just amazing! Rated 5 out of 5 by pusserbarrett from More games like Leaves, please! 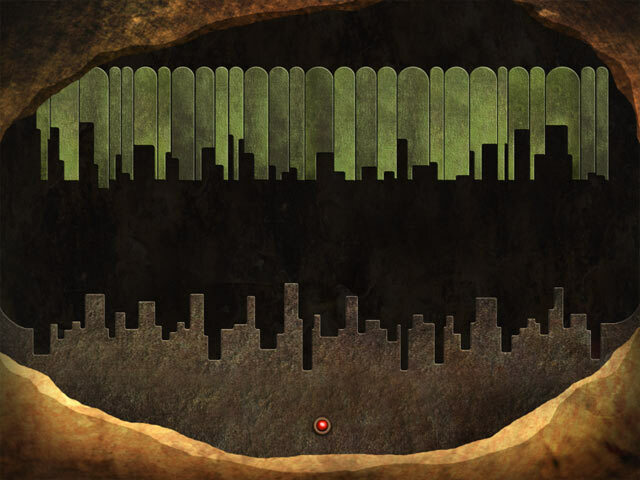 A really challenging puzzle game that has a wonderful atmosphere and brilliant graphics. For those people who enjoy being challenged and really don't care for hidden object games any more. Rated 5 out of 5 by cake4theworld from GREAT GAME! So beautiful, loved it! A welcome change from hidden object/time management games. Puzzles were challenging. Fun finding the little guys with the "xray" thing. Rated 5 out of 5 by Georgieflip from Brilliant Game! I am so tired of the same old thing. This game is different, imaginative, and not easy. I rarely find a game I like anymore, but I loved this one. Rated 5 out of 5 by Dargonnoone from Best thing since sliced bread I absolutely adore this game although it did take me a while to figure it our and sometimes I was stumped and didn't know where to go next. It had me tearing my hair out and clapping my hands and laughing out loud. I found it so difficult but just knew that there were answers to all of it and logical ones too. No instructions to speak off but I loved the inhabitants that were so cute and had to find with a kind of view finder. I also like the fact that there was no music because I always either turn the music way down or turn it off altogether but there was some pretty weird noises and some made be jump and some made me laugh. Such a clever game and the egg heads among us will whizz through it. It took me ages to complete but so satisfying. Hope they do another one as good. Rated 5 out of 5 by Yanie1020 from Best Game Ever! Not only is this game fun, clever, challenging & a workout for the brain, it's the most beautiful game I've played. The art work is out of this world. It really takes you to another dimension. Are parts difficult? Yes, very. But not all of them. And there are YouTube videos to help you when you're stuck. I believe there's a sequel to this game & I need to find it. Sorry, but I can't wait for Big Fish to offer it. I need it now! If you don't like puzzles I would definitely skip this game. But for the puzzle lovers like me this is a highly recommended game. Try it! Rated 5 out of 5 by LaComtesse from Beautiful game, not to be missed! Every so often, a game comes along that is truly innovative, fun, with beautiful graphics, sound, and wonderful thought provoking puzzles. And this is it! I don't usually write reviews, although I have played a large amount of the games on BF. But when something this fantastic comes along, I can't help myself! Don't hesitate, buy this one! Rated 5 out of 5 by tredmarpm from Wow! Amazing Storyline, Art and Puzzles This game is very different and does not have one master detective or evil spirit as the main characters. I was delighted to play a game with such a beautiful storyline, scenes and music. The first few minutes were frustrating but once I got my bearings, each challenge was enjoyable. There was only one puzzle that I couldn't figure out, and viewed the solution on the YouTube walkthrough. I highly recommend this game. So BigFish, when can we play Leaves: The Return? Rated 5 out of 5 by HathorEarthFyre from Leaves is an excellent game! This game reminded me of Myst, or Riven, which I miss very much. The sound, the scenes, the navigation, the symbolism, and the little guys you could only see with the magnifying glass. Many of the mini games were very challenging, The fact that you had to solve a puzzle if you needed help (and the help was very helpful!) My daughter and I needed two brains to get through this one. I loved it. More of these, please! Rated 5 out of 5 by sometimesyou from Best Game Since Ravenhearst Love, love, love this game. Graphics are stunning and it is a challenge, but hey I love a challenge. This was a definite buy for me, it is so much fun. I highly recommend this game. I don't think you'll be disappointed.......I sure wasn't. Now, when can we get "Leaves The Return" ??? Rated 5 out of 5 by cuorips from very exiting little game Better than anything that came out this year. Intelligent, fun, artistic,new great ideas, surreal, it has everything !! Wish there were more like this. Rated 5 out of 5 by lindavis from original and fun I really enjoyed this game. I've played dozens of games and always liked the one's that make you think the best. This game does that with the added bonus of really original graphics. The "inhabitants" are a real treat. 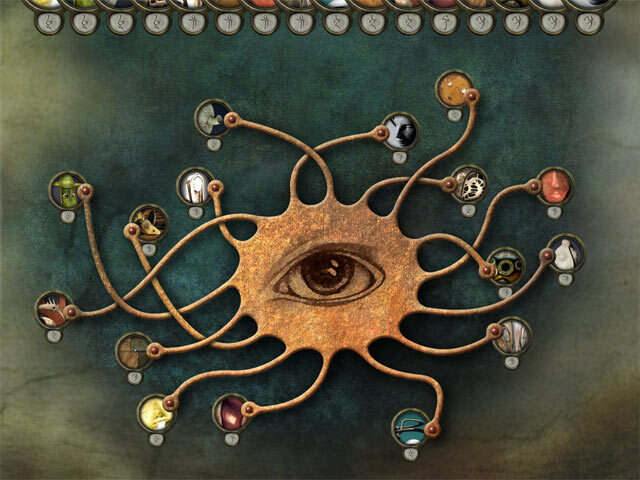 I had more fun playing leaves the journey then any game I've played since the first mystery case files came out. Rated 5 out of 5 by Kathatter from Absolutely Gorgeous! I have never left a review, even after being a very long time BigFish player but LEAVES moved me to write. This is the most beautiful, challenging game I've played in many a year since the days of MYST. If you want something fast this is not for you. It requires a lot of patience but worth every minute spent with it. Thank you for a wonderful creation. Rated 5 out of 5 by GameStudent from Loving This Game Now you're talking. This is the sort of brain-strain I really need and enjoy. Beautiful, quirky graphics, funny little characters. I love it. More of this sort of game please. 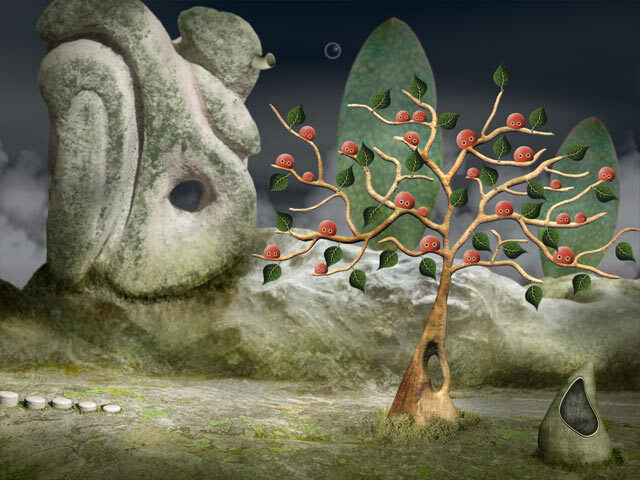 Rated 5 out of 5 by lancsroyal from Brilliant for the keen puzzler City of Fools, Green Moon and now Leaves. Such a change from the same old hidden object games based on the same old subjects. It's one of the things that keeps me in the Big Fish Games Club, the hope that another unique, challenging, puzzle-based game will pique my interest. And here it is: the atmosphere is ethereal, the puzzles challenging and there's even a little bit of frustration from time to time but it all combines to make a great game. True puzzle fans will love this as I did. Rated 5 out of 5 by missmerrily from Ridiculously pleased with myself This is a fascinating game, and because of its lack of instruction and help, I find I am ridiculously pleased with myself when I solve another little piece of the puzzle. It's not that difficult, just different and requires a little bit of patience. I find it works best for me if I leave the game altogether if I start to feel a bit frustrated with lack of progress. Usually when I go back to it there is a sudden epiphany and I find myself solving the next step and moving forward. Probably only for the patient puzzle player, but I love it!